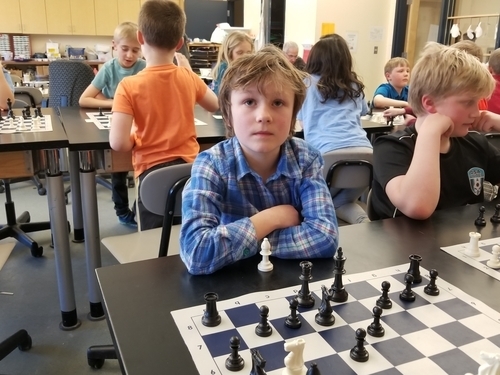 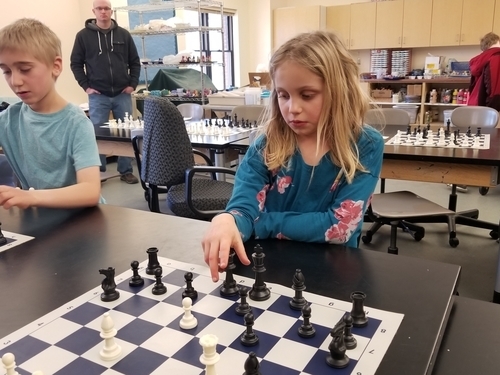 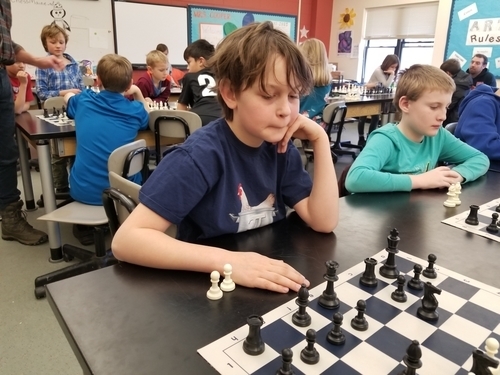 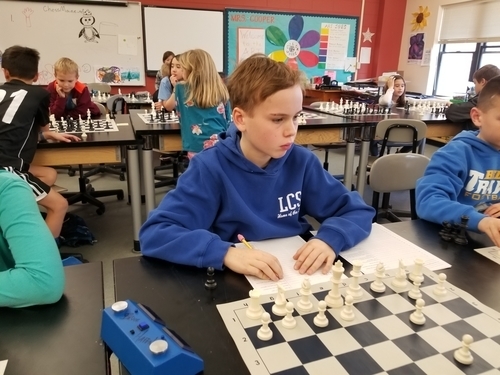 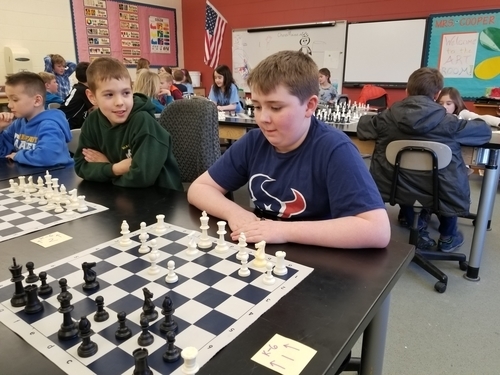 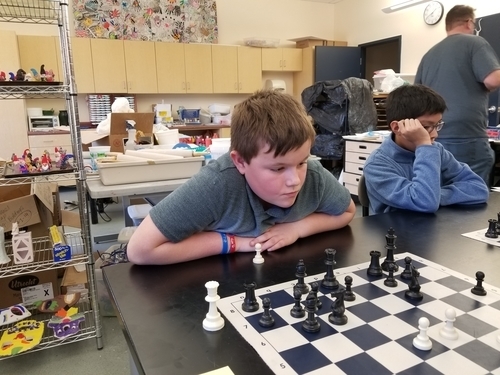 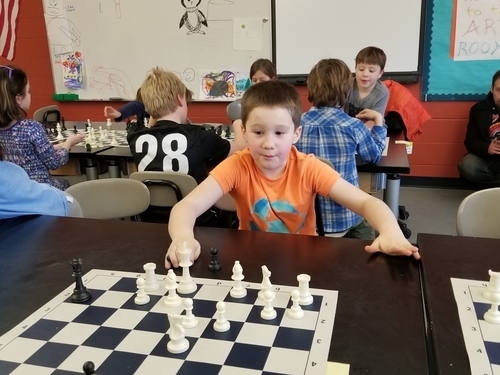 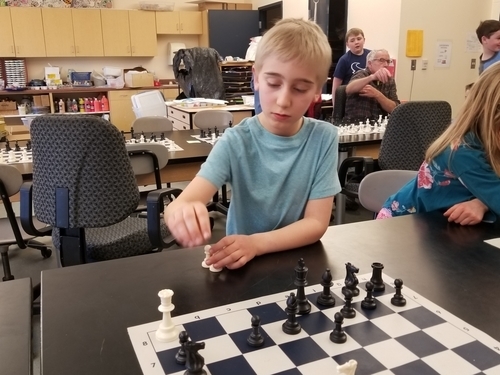 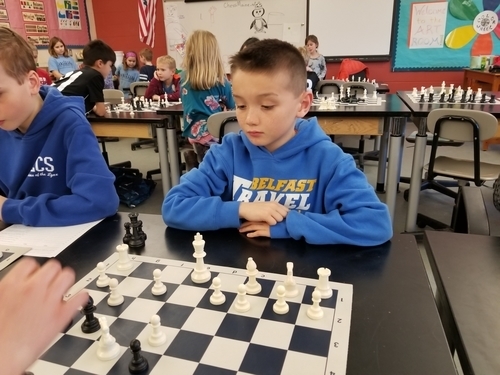 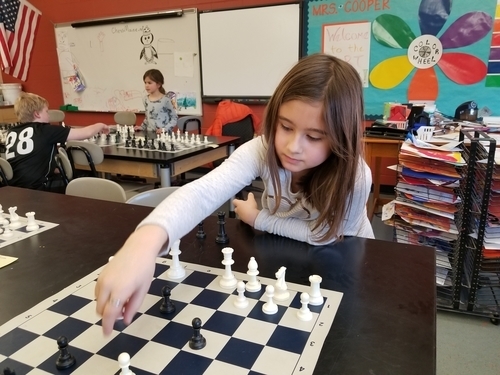 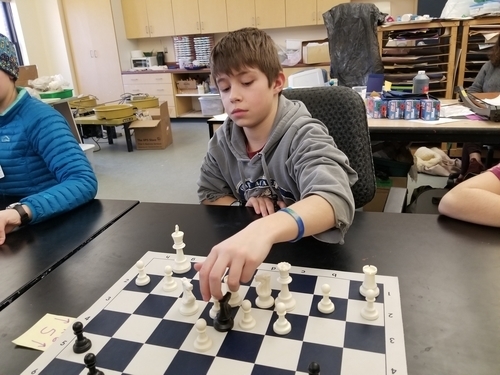 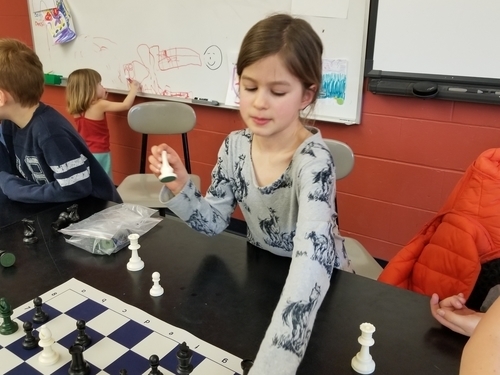 02.10.19 The Second Annual Lincolnville Central School Scholastic Chess Tournament was held on Sunday, February 10th. 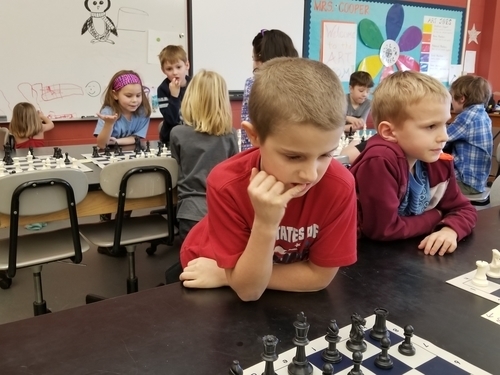 Thirty-five scholastic players in grades K-6 participated in three sections. 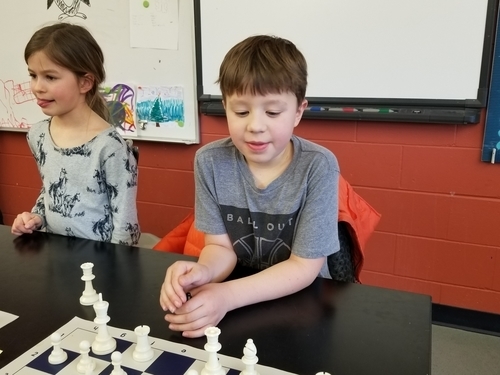 Section winners were: Rohan Joseph (K-6), Maggie Harbaugh (K-3), and Oren Hurley (K-1). 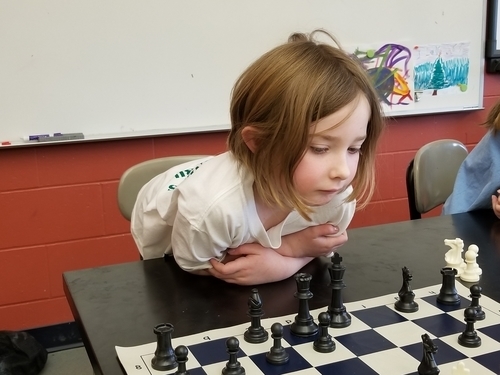 Here's the illustrated tournament report with US Chess Crosstables. 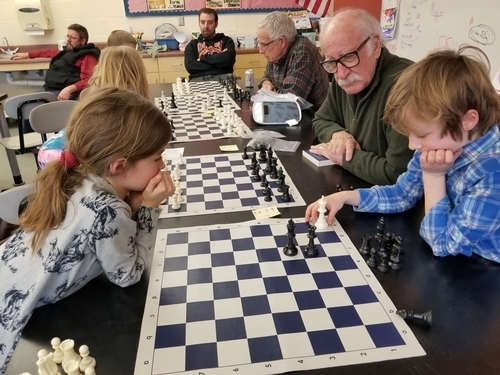 Thanks to all who participated in this four-round scholastic chess event, their parents, coaches, and drivers. 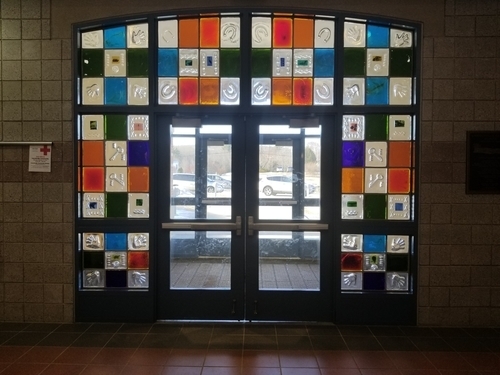 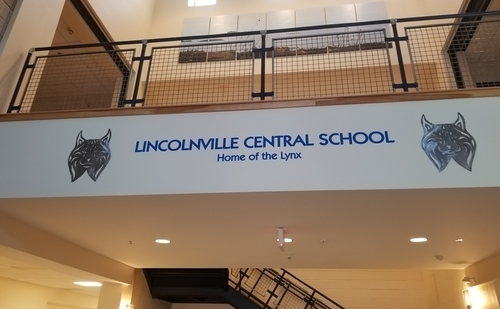 Thanks also to Lincolnville Central School for hosting and to Bruce Haffner for organizing. 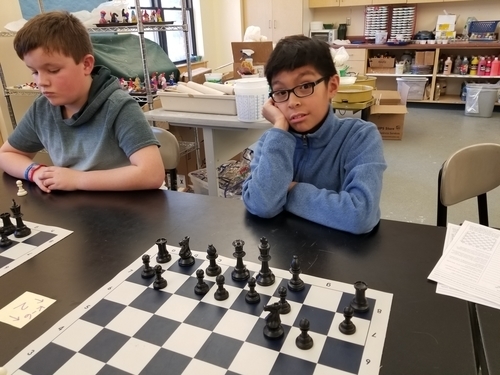 Rohan Joseph went four-for-four in the K-6 section to take clear first place. 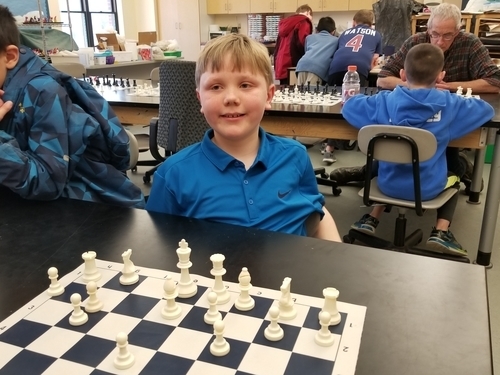 He was trailed by three players who put up 3.0 points: Sawyer Rooney, Benjamin Allen, and Thomas Pickford. 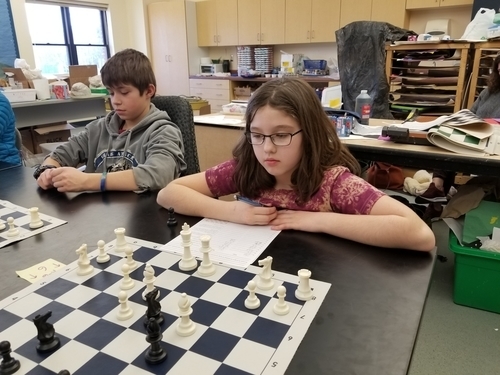 In the K-3 section, Maggie Harbaugh went unbeaten with 3.5 points in four rounds. 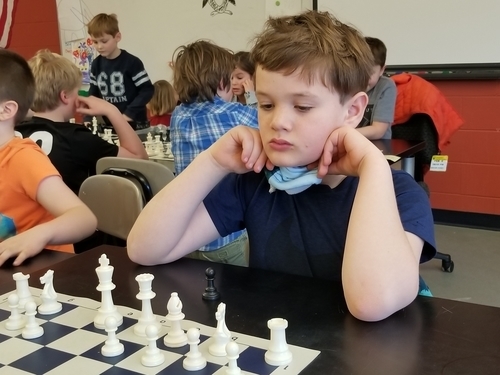 Jack O'Brien and Miles Kaplan scored 3.0 points to tie for second. 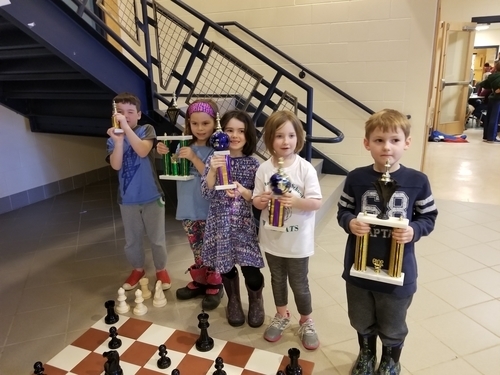 Forth place was shared by Lily Fishman, Avery Adams, and Alexander Miller. 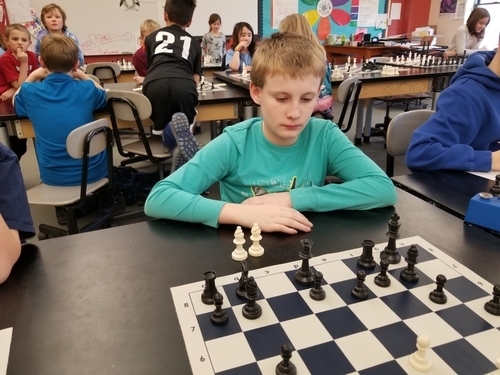 Oren Hurley won the K-1 section with 4.0 points. 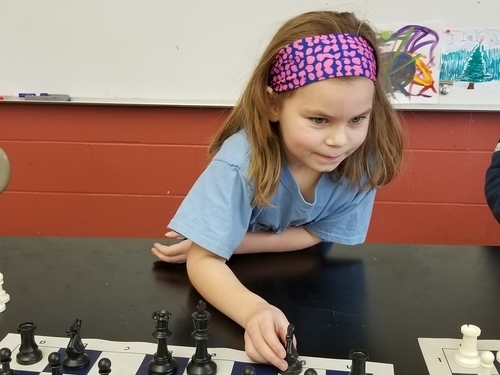 Clara Harbaugh took second with 3.0 points and Devon Skrivanich finished in clear third with 2.0 points. 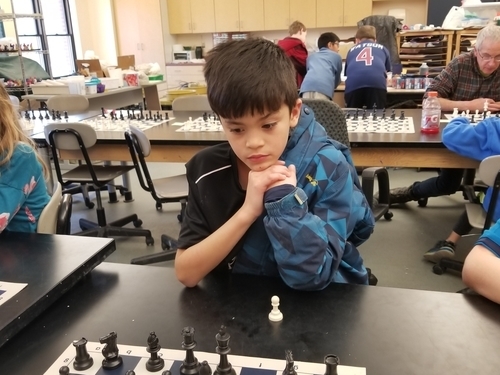 Rohan Joseph won the K-6 section with 4.0 points. 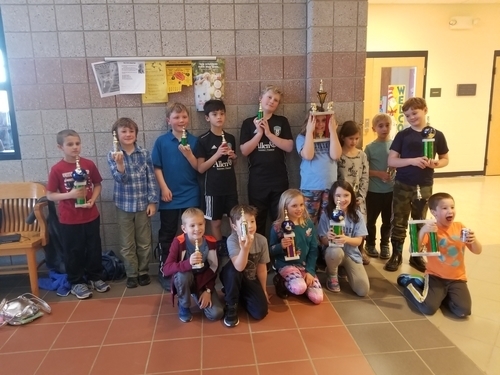 The K-6 players celebrate after the tournament. 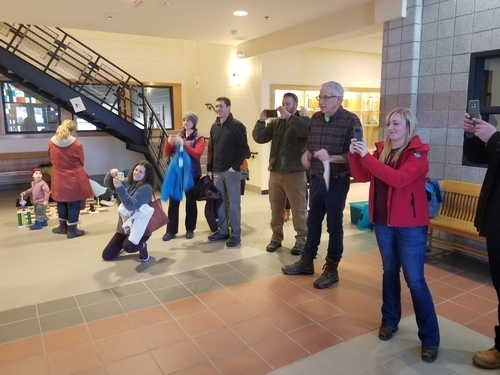 And the K-6 parents document the moment. 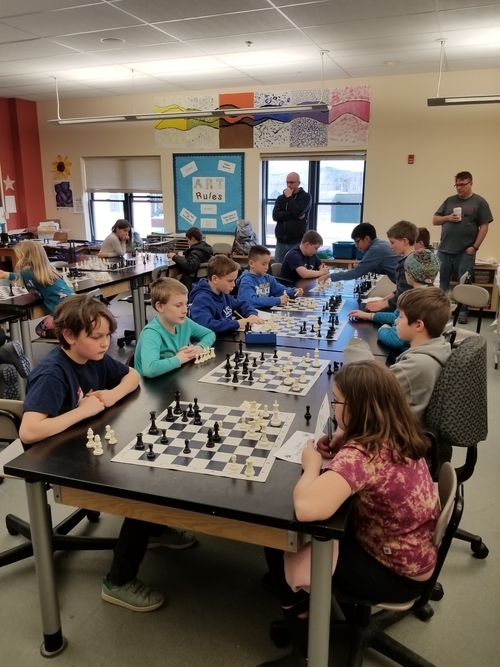 A view of the tournament room. 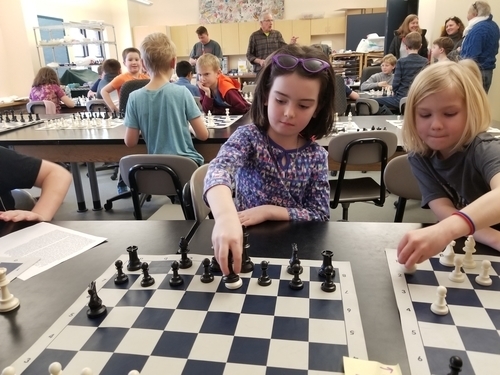 Maggie Harbaugh won the K-3 section with 3.5 points. 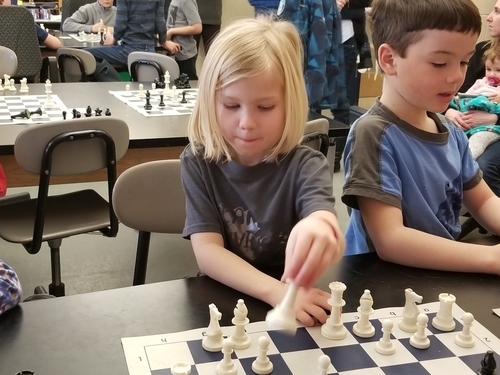 The dreaded King and Queen vs King stalemate reared its head many times in this tournament. 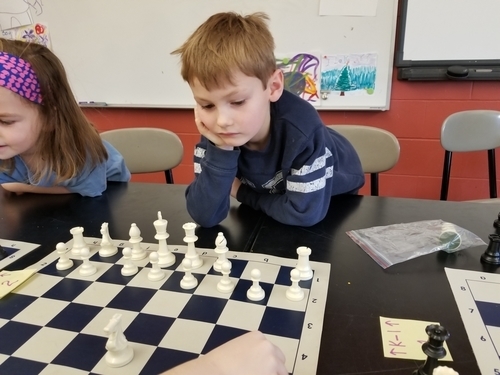 If you would like to know a fairly simple and straightforward way to teach kids this mate in four steps email me. 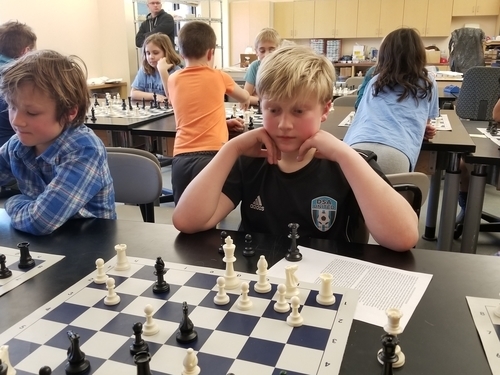 Oren Hurley won the K-1 section with 4.0 points. 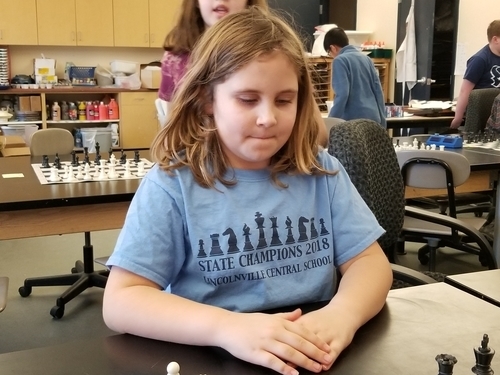 Clara Harbaugh put up 3.0 points and took sole second. 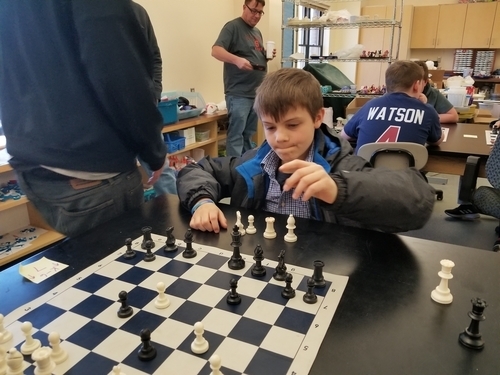 Devon Skrivanich scored 2.0 points and finished in third place. 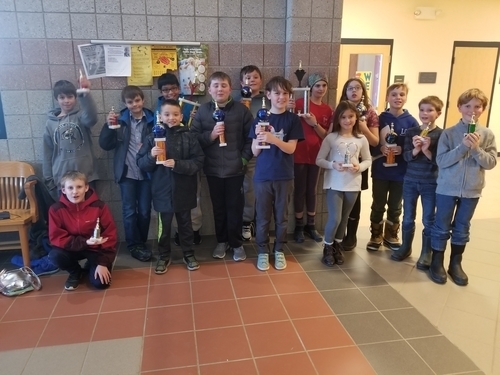 The K-1 players with their awards. 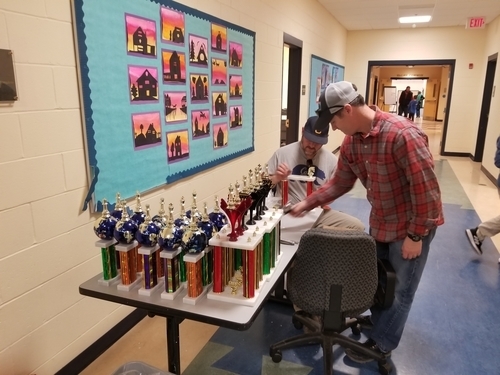 Thanks to all the hard-working parents who assembled trophies! 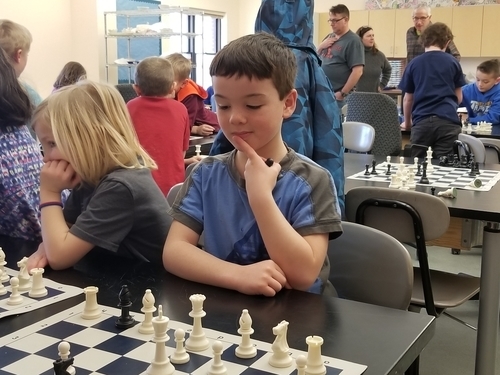 Thanks also to tournament organizer Bruce Haffner. 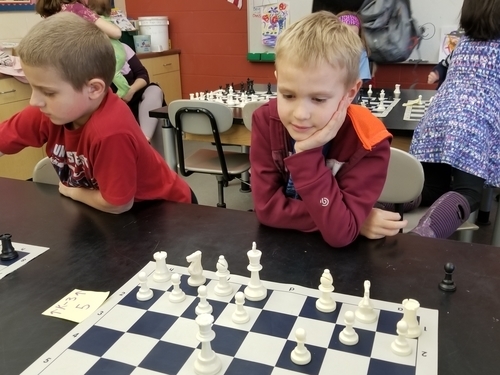 We look forward to seeing you back for the Third Annual Lincolnville Central School Chess Tournament. 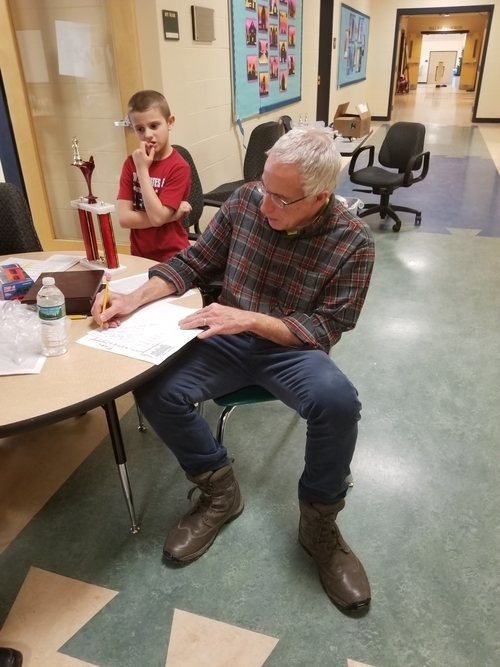 Too bad there are no pictures of the hardworking TD staff!